Available now in Preview, Microsoft’s new ‘To-Do’ intelligent task management app makes it easy to plan and manage your day. 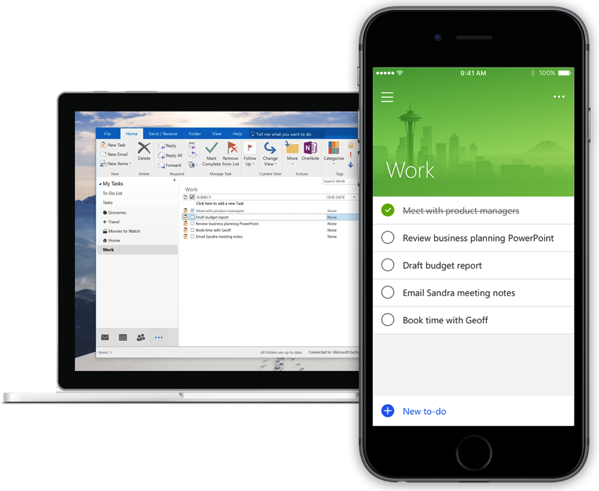 Developed by the team behind the popular Wunderlist app, To-Do is powered by Office 365 integration and an intelligent algorithm, that delivers a smarter, more personal and intuitive way to stay organized and get the most out of every day. According to Microsoft, the app helps you focus and plan your day from the moment you open the app. Every morning, your My Day list starts out with a clean slate. You can also tap Intelligent Suggestions for ideas on what’s most important. To-Do is built on Office 365, which in coming months will enable the product to be even more useful in more places. Today’s To-Do Preview would not have been possible without the support and input of Wunderlist fans over the last six years. In the coming months, we’ll bring more of the favorite elements of Wunderlist into the To-Do experience, adding features such as list sharing, apps for Mac, iPad and Android tablet.